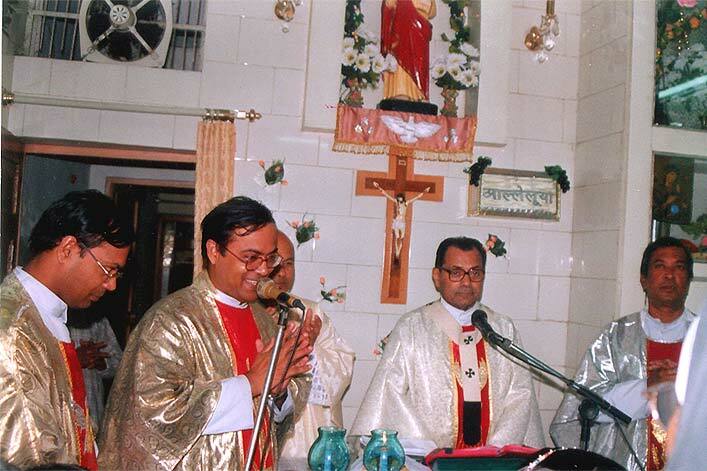 I am pleased to learn that Jeevan Dham has completed 12 years in the service of the Lord & His people. I praise & thank the Lord for the marvellous way in which He has given the gift of faith to the thousands of people through the preaching of God's Word, Prayer & Healing. May God bless His Chosen ones for their ministry and make it abundantly fruitful. May all those who come to Jeevan Dham experience the boundless love of God and steadily move towards the fullness of Life. On July 6, 2003, Jeevan Dham completed its 12 invaluable years. 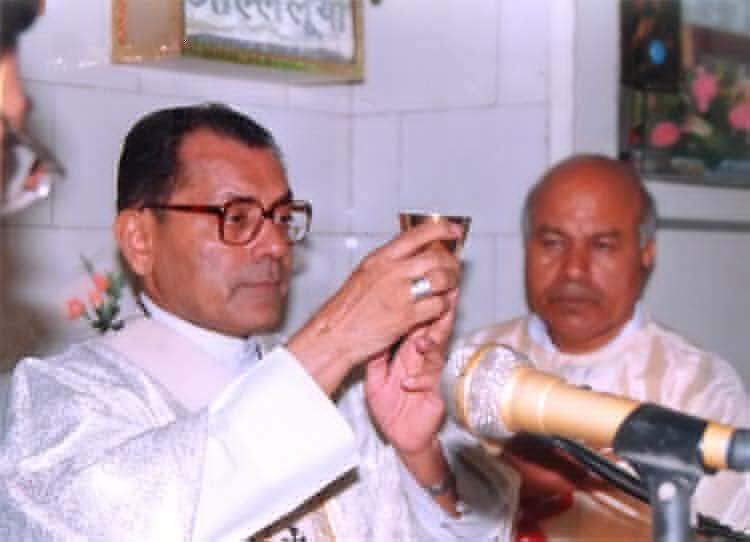 And to celebrate the anniversary, the honourable ArchBishop of the Delhi Archdiocese, the Most Rev.Vincent M. Concessao, came to Jeevan Dham on July 6, evening 6:30p.m. 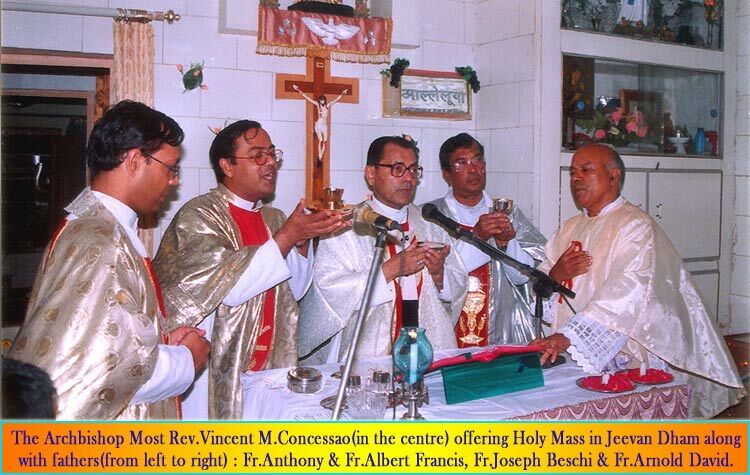 and offered the Holy Mass as a main celebrant along with Rev.Fr.Arnold David, Rev.Fr.Albert Francis, Rev.Fr.Anthony Francis and the Parish Priest of St.Joseph's Church, Sector-5, Faridabad, Rev.Fr.Joseph Beschi D'Almeida as the concelebrants and later joined for table fellowship along with others. 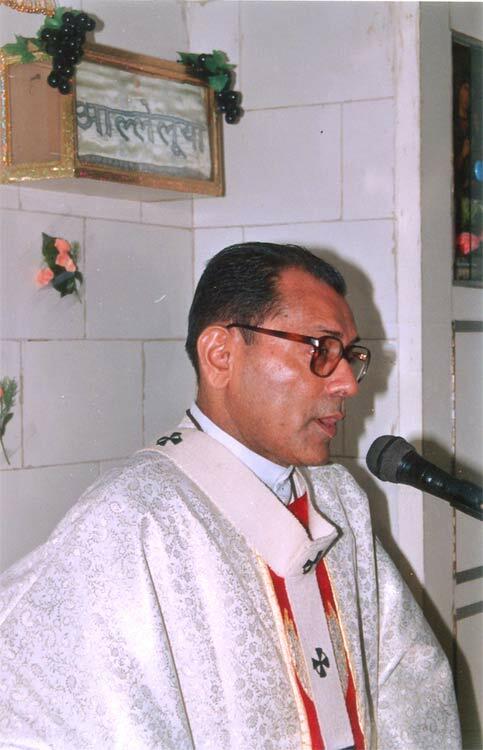 On this occasion, His Grace delivered a meaningful & thought-provoking homily in which he stressed on the role, work & value of a prophet and the respect given by his country people as mentioned in the two readings and the Gospel (St.Mark6:1-6). Later on, His Grace mentioned that we should never judge people by their fortunes and pedigree, or by their past and native worth as nothing is impossible for God and God can choose anyone, even an illiterate lay person for His work and can work out anything from him according to the need of the situation and the people.
. We, first of all, praise and thank God a million times, who is Our Father, Creator & Provider of all good things and who has made this small plant of Jeevan Dham within these years into a huge and radiant Tree of Life, showered His abundant blessings on it, kept it evergreen and full of flowers, and thus glorifying it. He has held it in His own hands to save and protect it from all evil and harm and fear. He is the Good Shepherd, the Light, the Way, the Truth, and the Life for all of us. We praise Him from the depth of our heart for all these graces & for the awe-inspiring miracles that He has performed here and is still present with us working more & more of these to strengthen each one's faith. Then we thank & praise our Holy Mother, the door of Heaven, Blessed Virgin Mary who has been always praying, advocating & mediating for us all these years and through whom we have obtained everything from her Son, Jesus Christ. She has been leading the family of Jeevan Dham along the way of her Son to obtain salvation & Eternal Life in Heaven along with all Saints and angels, who also join us in our prayers, hmyns, adoration & praise. 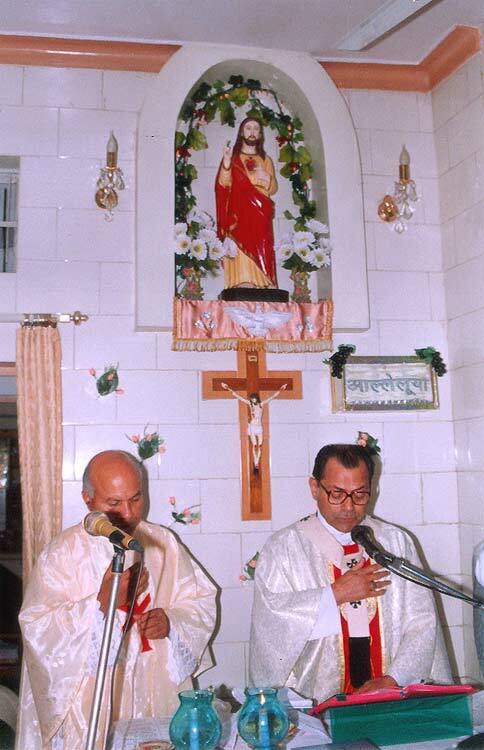 Thanks to them also for their prayers to the Son & the Holy Eternal Father. 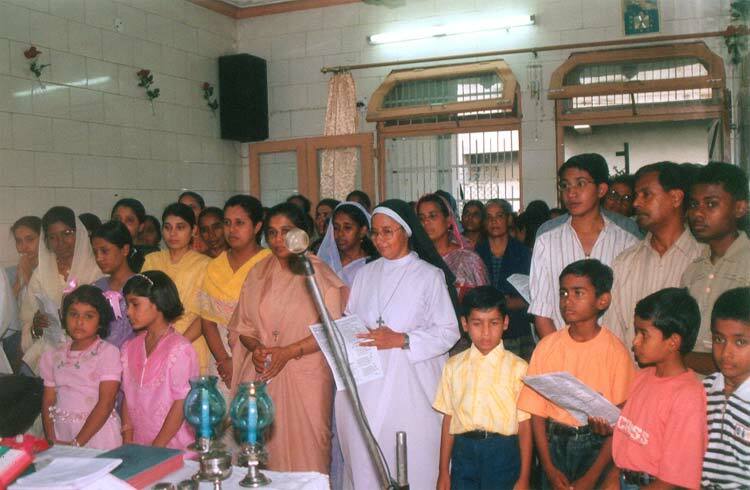 We are thankful to all the sisters of St.Anthony's Convent, Faridabad and all those who are working there for their co-operation & help, who not only did provide us a place for conduct our prayer meeting every Sunday, but also provided the people with the necessary basic facilities and gave their spiritual and moral support through their prayers. 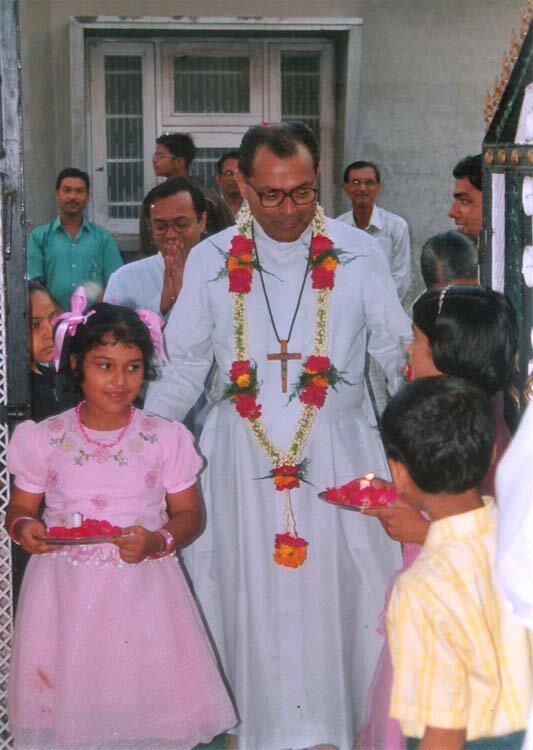 We pray for them that they may get the choicest blessings from God, and may God help them, give them success in their spiritual life and protect them from all evil and harm, may their spiritual family increase manifold & flourish, may they all remain faithful & obedient to God to the end of their life in holiness and thus inherit the eternal Life in Heaven along with all the Martyrs & Saints. We understand from these words that God is inviting all mankind like a loving Father with his arms wide open to his Kingdom and to make them all the inheritors of eternal Life, joy and peace in his Kingdom. But it is through His will and power that we find Him, understand Him and acknowledge Him as our supreme God in faith by which we obtain salvation. It is He who has chosen us. We did not choose Him. He gives us everything- a new life, he takes away all our troubles, weaknesses, illnesses and miseries and fills our heart with joy, love and peace. He is our Redeemer and Saviour, Teacher and Deliverer. And we can surely find this fact to be true, can see through our eyes and listen through our ears in Jeevan Dham, which our living God has chosen to shower his blessings and to show his abundant mercy, infinite love and power. Thousands gather here every Sunday coming from near and far away places in our country to listen to His Word, to understand and follow His ways and commands, to thank and praise Him, and obtain abundant blessings and miraculous healings from their mental and physical illnesses. The merciful God heals them all who believe in Him, gives them wisdom and understanding, opens their hearts and minds through His powerful Word, provides them with visions and revelations and the gifts of the Holy Spirit, transforms them and gives them an altogether new life, devoid of sin and evil. He loves us all and therefore never abandons anyone to wander away in the darkness, never breaks but strengthens everyone's faith. 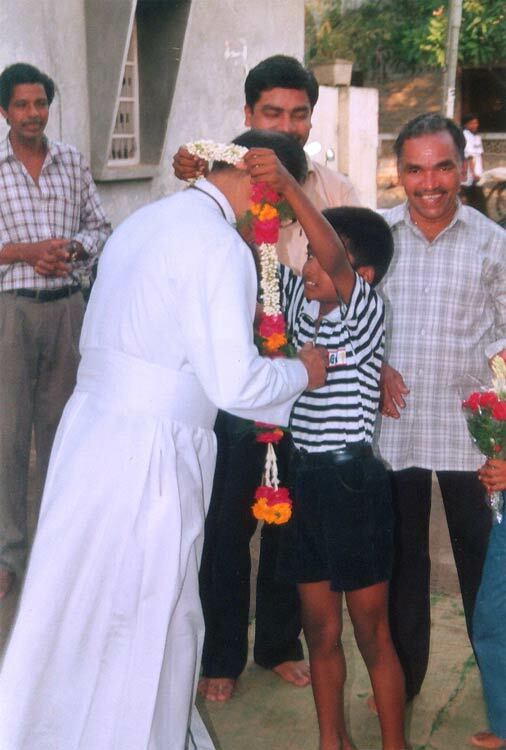 He never turns away anyone or sends anyone back with empty hands but always wishes to give them eternal life.